Hey my fellow plastic addicts. It’s been a while since I did an Ideal Wave. (Since February). Needing a bit of a break, I decided to do one this week. Having done most of the movies coming out and with the next movies not being out til next year, I decided to ask people who are following me on Facebook what they would want the theme of this Ideal wave would be? Between Captain Marvel and Fantastic Four, Fantastic Four won out with 61% of the votes. Thanks to all those who vote. For those that voted for Captain Marvel, she will eventually get her Ideal wave. At some point. Maybe. Look, I’m busy okay. 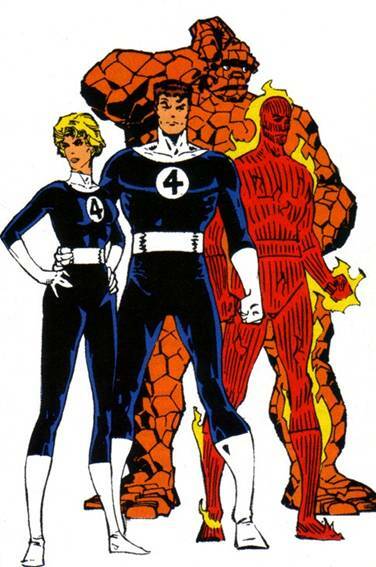 Fantastic Four started the Marvel Universe. If it wasn’t for them, Stan Lee wouldn’t have stay on to do comics. In fact, according to Stan Lee himself, he was on the verge of quitting altogether when he was asked to create a team of heroes by his editor. Stan Lee himself insisted that they do things his way and thus he created the Fantastic Four, the first Family of Marvel. Unfortunately, the F4 have been push to the side in recent year, due to the fact that Fox owned the movie rights to them. But now that Disney owns Fox, the F4 are returning and will eventually be brought into the MCU eventually. As for ML, the F4 has been made into a exclusive program with Walgreen, where all their characters and supporting characters are release as single figures, usually 2 per year. But with the F4 returning and the chances of them having a MCU movie, I will be assuming that Hasbro might launch a line similar to the Spider-man and the X-men. For that very reason, I will be assuming that this line will be a testing wave, a wave that will test to see if the line can be able to run for a long while, similar to how the Juggernaut wave was a testing wave for the X-men and thanks to outstanding success of that wave, we now have a X-men wave every year. Of course A Fantastic Four wave will have the main members in it for the first wave. Later wave, being smaller, might only have one or 2 of them but for this first wave all four of them will be in it. Since we gotten their classic Blue and Black costume (or are getting by the date this is written), I think for the first wave of this, they should come in their other iconic costume, their Negative Zone version or the dark blue and white version. Since these will be mostly repaints, I will go quickly through each and what other changes Hasbro could make (you know, beside new head sculpts. Mr. Fantastic- This will be a straight repaint but will not come with the Nullifier he will come with stretched legs and no baf part. Invisible Woman – This will not come with any invisible body part this time. Instead with will come with a “invisible” shield that will attach to her arms and look like she is projecting it. Thing – I can’t really think of something to change with this one. Maybe give him pants. Johnny Storm – Note that I said Johnny Storm not Human Torch. This will be a normal non-flamed form for Johnny. But since that might be considered “Boring” to some people, they could include same flame backpack as the Walgreens version as well as the flame effects that came with MCU Scarlet with as well as the same head as a swappable head but painted to be like he is about to Flame-On. Well that is the main four onto others in this wave. Oh come on. Who didn’t see this coming? You, Peter? Just walk away Sugar Bear. 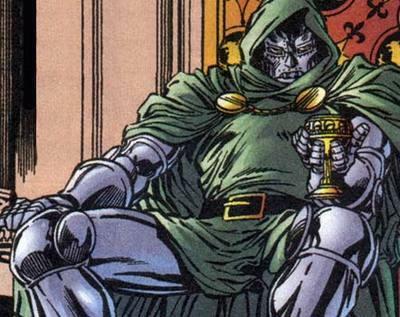 If there is going to be an Fantastic Four wave, then Dr. Doom has to be in it. While Hasbro could very easily do the Infamous Iron Man version (basically the Black Panther wave Iron Man with a cape), we all want a new updated figure of his classic look. Hasbro has been killing it with their updated classic looks so I know they will do this right. Taking up with second and only other female is the Inhuman, Crystal. Crystal has been a big part of Fantastic Four, being Johnny Storm’s girlfriend for a while and even was a member of the Fantastic Four for a while, replacing Sue. Plus with the Inhumans MCU franchise tanking, it would be a good chance to place them in this line instead since they were introduced in the F4 and most often seen in those books. I think the body used for Hellcat (which many people have used for their customs) would work best for this. She could also come with the Flame effect from the Sunfire/Iron Fist and a some kinda of blue effect to demonstrate her powers over the element. Not only that but I think she should also come with a swappable head with her more modern short hair version. Onto the second last character in this wave and the second villain in this wave is The Wizard. He is a villain that originally started out as a scientist jealous of the Human Torch’s fame but soon became a treat to the whole team. Just like Doc Ock was responsible for creating the Sinister Six, The Wizard is responsible for creating the Frightful Four, the evil counterpart to the F4. Wizard has had many version of his costume over the year, but I think using a re-sculpted Mysterio figure could work for him. How do we not have this guy yet? No seriously? How? He has been the most requested BAF for nearly a decade. 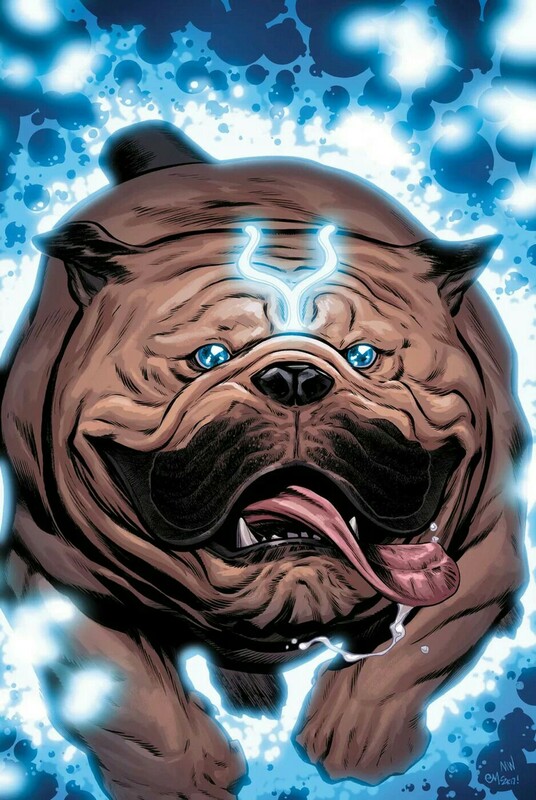 The Inhuman’s Family Pet (and for a time the F4), the giant teleporting bulldog has been a fan favorite for years. So what better wave to finally get him, then in the Fantastic Four wave. I was planning on putting Dragon Man literally until the last second but looking for the last figure made me spot this guy and said to myself, “Feck Dragon Man, we need this guy”. Because he is basically a giant bulldog, he will be a whole new sculpt. Well that is my Ideal wave for Fantastic Four wave. Let me know either below or on any of the social media.